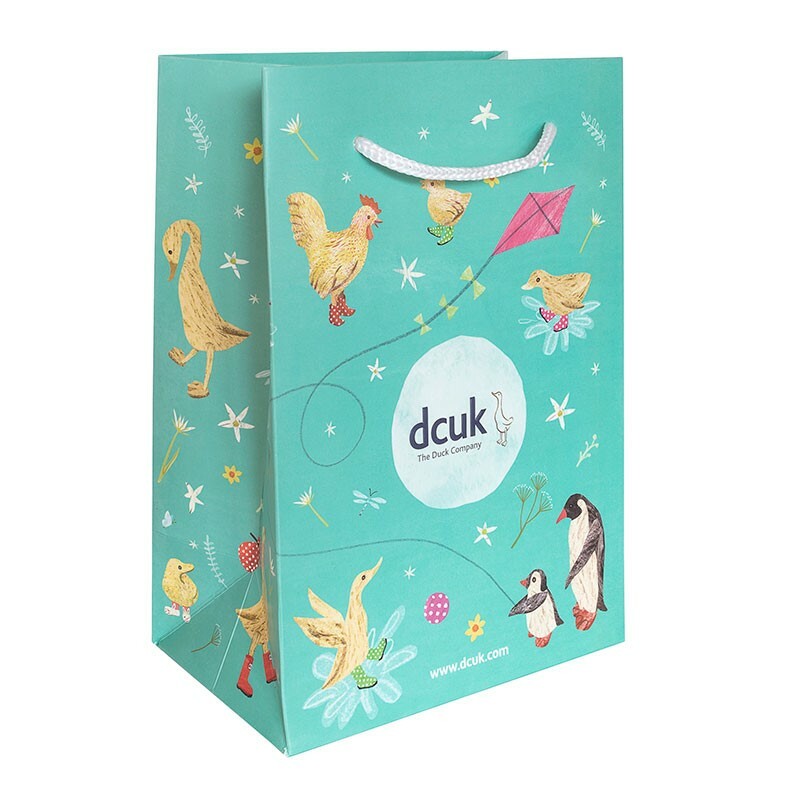 Join the ride with our Yellow Jersey Cyclist Duckling. 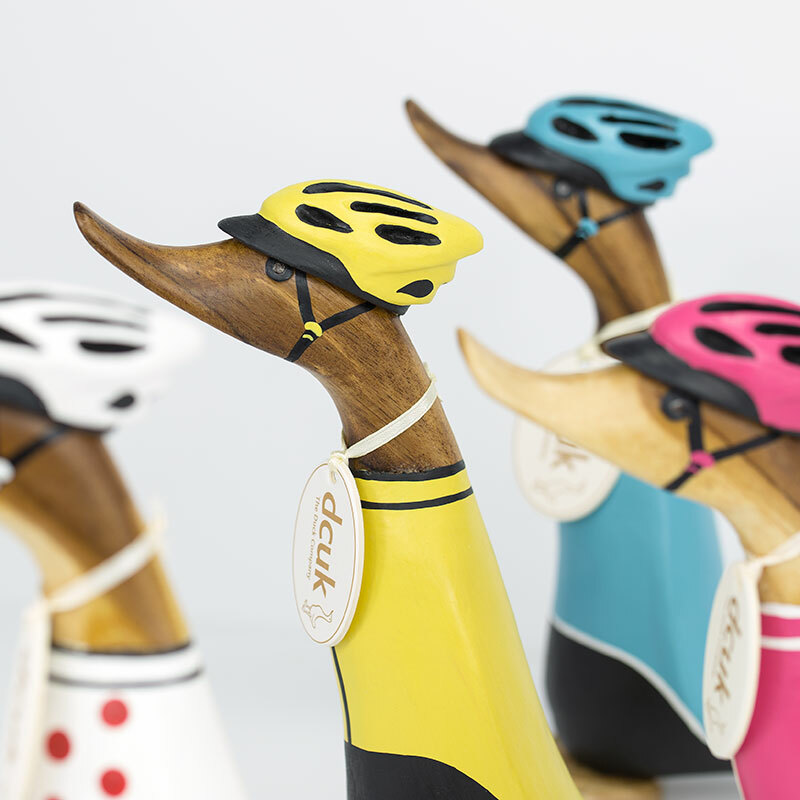 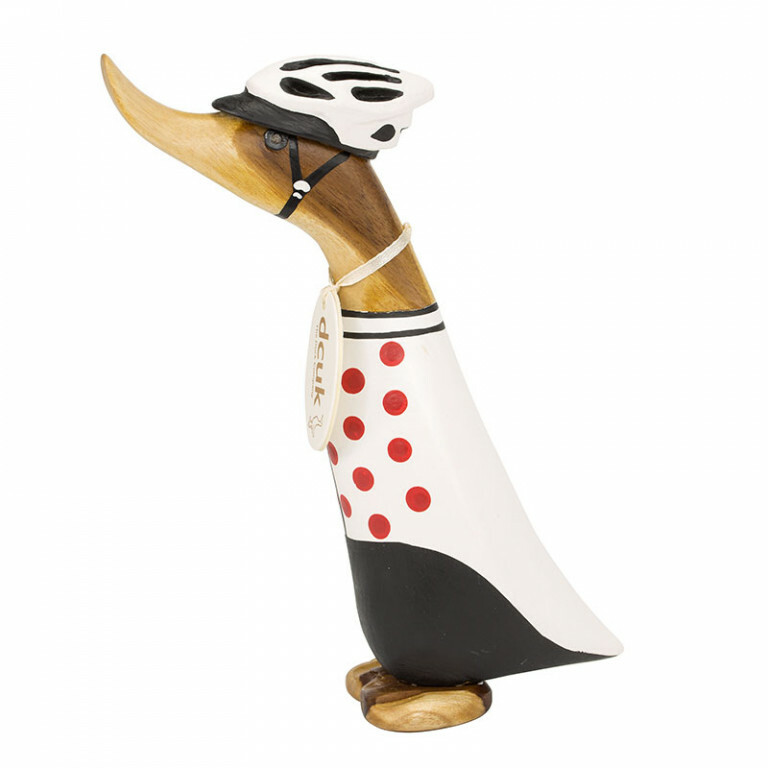 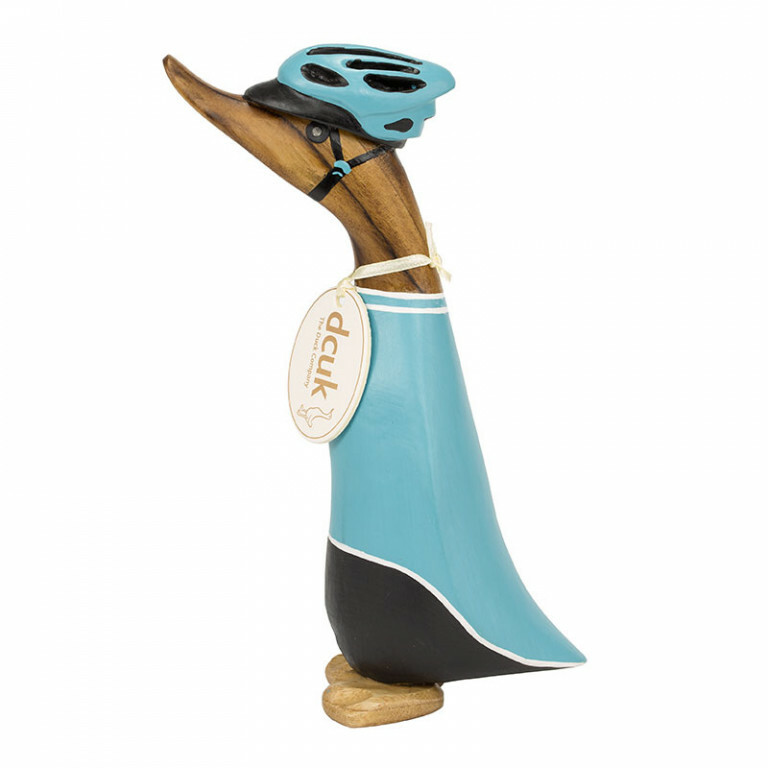 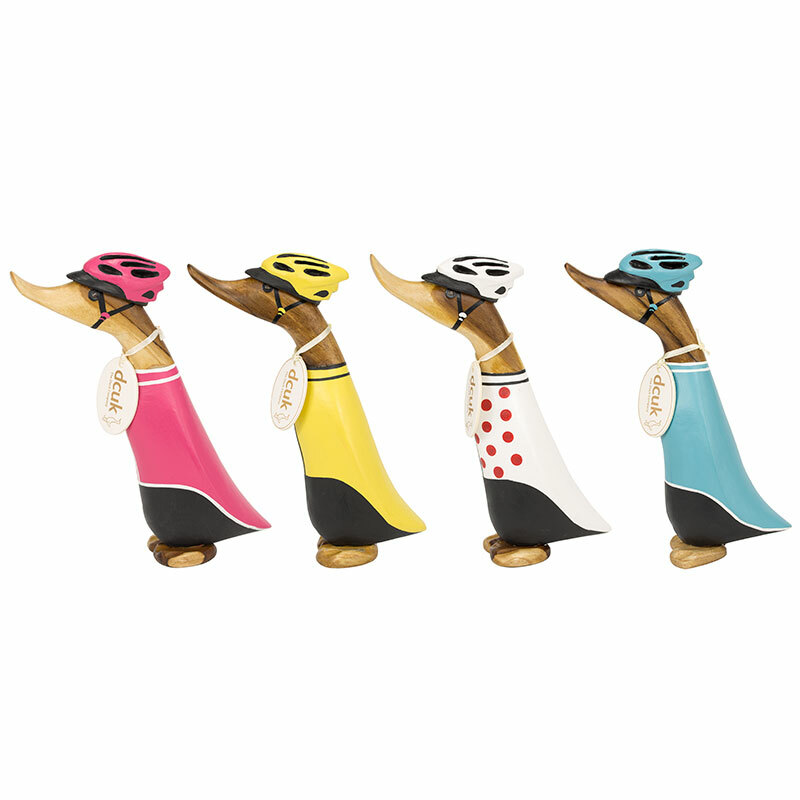 Hand carved and painted with a matching coloured racing helmet our cyclist ducklings are all geared up and ready to go! 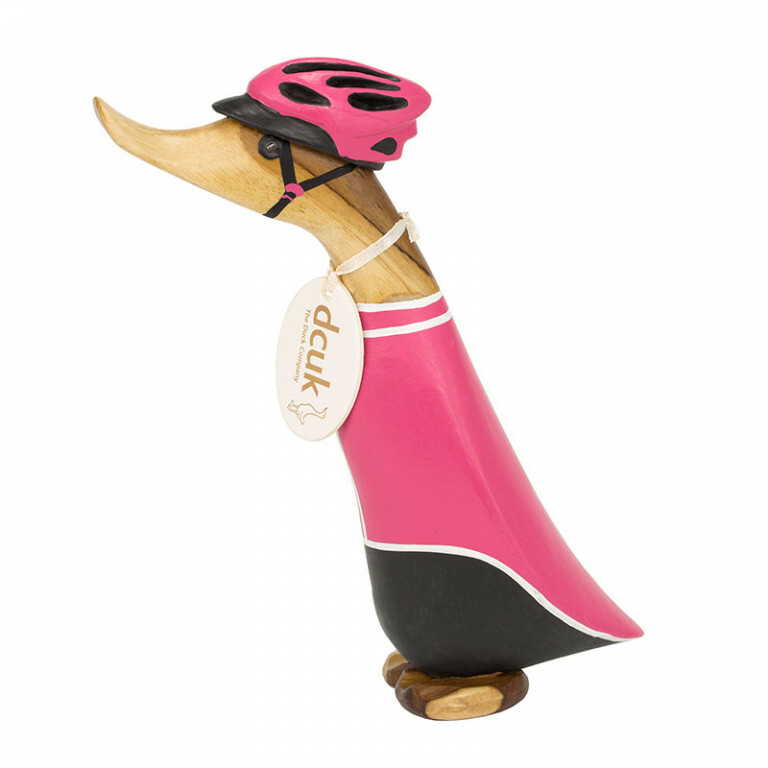 Duckling stands approximately 19cm high and comes in a randomly selected pose. 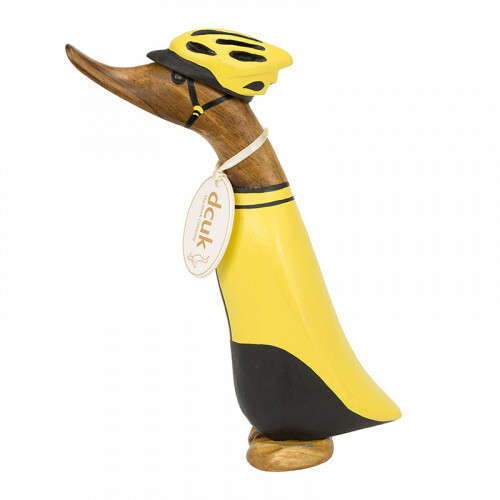 Can be personalised with writing on their back and a name tag.